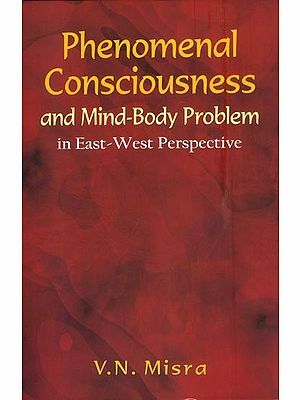 This unique volume brings together eastern and western perspectives on consciousness with essays from philosophers and scientists which emphasize different aspects of the integration. The overarching aim of this book is to provide direction toward integrating Eastern philosophical and religious practice with philosophies and sciences of Western culture, an aim that could be pivotal in understanding consciousness and its place in nature. A unifying approach is adopted to the study of consciousness, integrating the wisdom of the sages of the east, and the scientists of the west and the stupendous east-west integration that has been achieved is indeed a milestone. REVERED PROF. PREM SARAN SATSANGI, Emeritus Editor (East) is Chairman, Advisory Committee on Education, Dayalbagh Educational Institutions, a think-tank, constituted to suggest inter-alia, steps necessary for achieving highest levels of excellence in education at all levels. 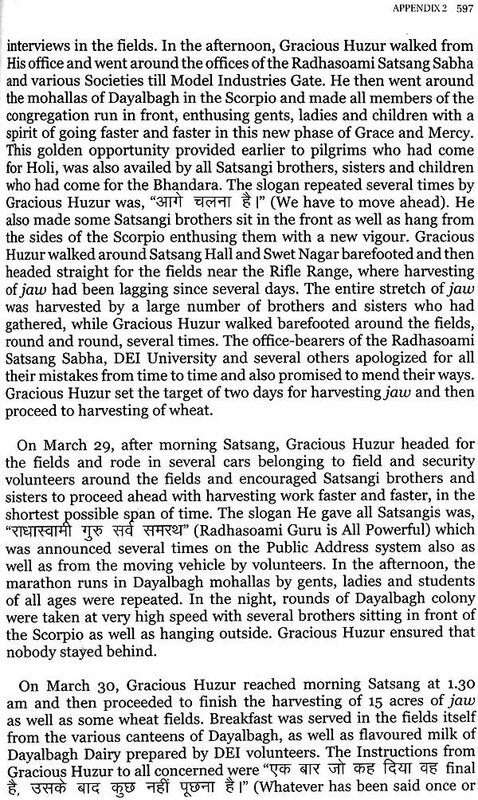 He was acclaimed the Spiritual Leader, the eighth Sant Satguru, of Radhasoami Faith, Dayalbagh on May 18, 2003, through consensus, in a special general body meeting attended by about 25,000 representatives of Radhasoami Faith with a following estimated to be about a half of a million. A systems scientists firmly rooted in the integrative systems approach pioneered at Michigan State University and University of Waterloo, He has applied western scientific techniques to study the consciousness of the sages of the east. Revered Prof. Satsangi serves as the Emeritus Chair from the East of the Integrated East-West Forum at the TSC conferences. PROF. STUART HAMEROFF, Emeritus Editor (West) is Director, Center for Consciousness Studies and Emeritus Professor for Anaesthesiology at University of Arizona, Tucson, USA. He is the Chief-Architect and Chair of the TSC (The Science of Consciousness) series of conferences organized annually since 1994 all over the world. He has collaborated with Sir Roger Penrose in formulating the Penrose-Hameroff Orchestrated Objective Reduction (Orch-Ok) model of consciousness, which is one of the leading scientific theories of the day. Prof. Hameroff serves as the Emeritus Chair from the West of the Integrated East-West Forum at the TSC conferences. PROF. VISHAL SAHNI is Coordinator, Quantum-Nano Systems Centre and Centre for Consciousness Studies, Dayalbagh Educational Institute (Deemed University), Dayalbagh, Agra. PROF. PAMI DUA is Dean, Research (Humanities and Social Sciences), University of Delhi and Director, Delhi School of Economics. Almost five years back, when I had my first meeting with Prof. Stuart imeroff, the Emeritus Editor from the West, at the Quantum-Nano School QANSAS in December 2011 at the newly inaugurated Centre for consciousness Studies at Dayalbagh Educational Institute (DEI), a few uld have envisioned the rich and broad-based relationship that has sice flourished among leading institutions involved in consciousness idies in the east and the west-who have gone on to jointly conduct e Integrated East-West Forums from 2012 to 2016 at the TSC-series conferences annually organized with Prof. Stuart Hameroff as the chair and Chief Organizer. Prof. Hameroff has been a regular visitor Dayalbagh, actively taking part in organization at DEI of TSC 2013 Twentieth Conference on Toward a Science of Consciousness) in March 13 and QANSAS 2013 in December 2013 where he jointly offered a workshop on the Orchestrated Objective Reduction (Orch-OR) Theory Consciousness with Sir Roger Penrose, the leading mathematical theorist and Prof. Anirban Bandyopadhyay, the leading experimentalist the field. I had the pleasure of reciprocating his regular visits to DEI visiting Tucson, Arizona in the heart of the American west in April 2016 at his cordial and hence compelling invitation and addressed the Integrated East-West Forum in person at the first conference of this series in its new avatar as 'The Science of Consciousness' (TSC 2016) . It is with a considerable degree of satisfaction and sense of fulfillment that today (5-6 years down the line) there are several able, active and promising researchers in DEI who have earnestly taken up research Consciousness Studies and related fields such as Quantum-Nano sterns and all Departments of DEI have been involved in this effort which has already met with unprecedented success. 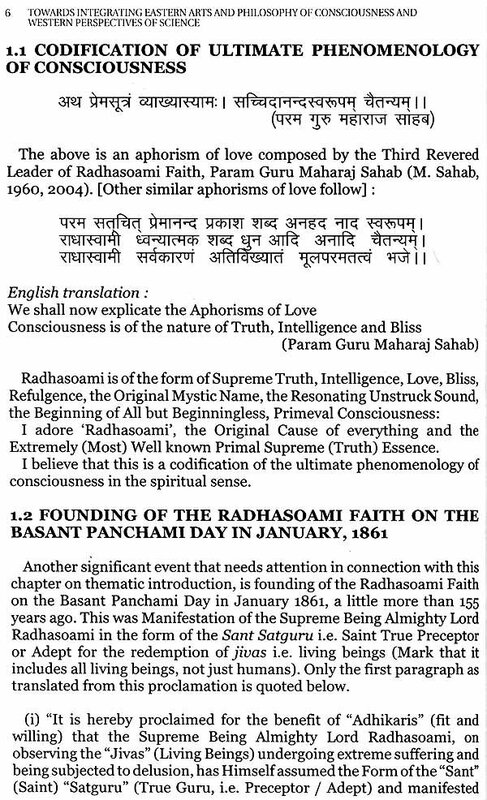 I am very pleasantly surprised to find that the research is progressing along very healthy lines and augurs well for promoting Consciousness Studies in true scientific sense as was visualized by Param Guru Maharaj Sahab (the third Revered Leader of Radhasoami Faith) through His 'Discourses on Radhasoami Faith'. 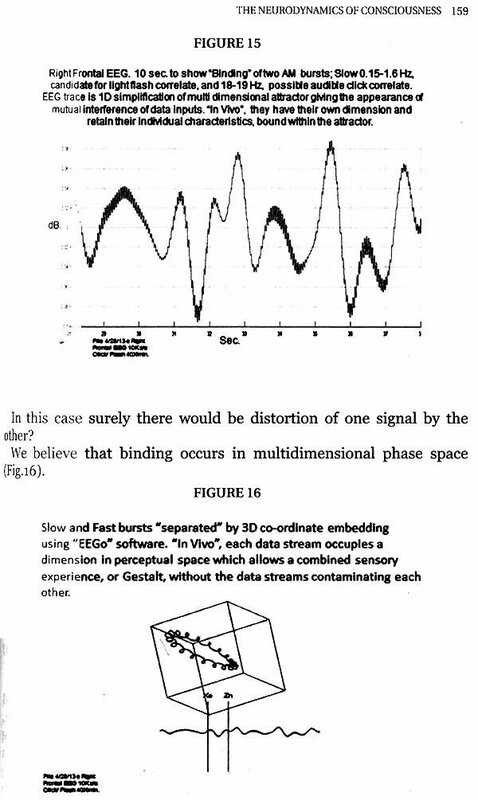 Pursuing that line, we are now homing in gradually, but surely, on making an impact on the world community internationally of the true nature of Consciousness in the Universe and this is being done in a scientific manner so that scientists also begin to listen to it. If I might be permitted to indulge in a bit of nostalgia in respect of the tools and techniques which I have applied over the years to study the consciousness of the sages of the east, I owe my research ability ever since my Ph.D. days at Waterloo from 1966-fall to 1969-summer to the research exposure and opportunities which I found in that lofty institute. Of course, I knew about Waterloo even from earlier days, from fall 1960 in fact, when I had joined Michigan State University as a USAID TCM Scholar, for my Master's degree in Electrical Engineering where Prof H.K. Kesavan used to be a frequent visitor to the system theory group led by Prof. Herman E. Koenig, verily the father of physical system theory. I must confess that West has been the leader in modern thoughts and modern science and that is where I learnt them. In fact, it comes to my mind, that instead of merely meeting under the banner of Integrated East-West Forum, we have to make joint progress and report success, so that inner experience or human experience is accepted as well as the physical outer experience in the macrocosmic world. AB I have been steeped in the scientific theories of the west, way back in 1960-61, over the course of the last 55 years or so, I have a clear cut realization that we can meet much greater success if we work in an integrated fashion, rather than wondering whether it is thought from east which the west is being persuaded to pursue as inner experience, because I use the same model building techniques, the same theory building techniques as any physical system theory. If we work co-operatively to integrate eastern perspectives of Vedic-Yogic Meditation (3S's of Satyam-Shivam-Sundaram) with western perspectives of systems science (3R's of Reductionism-Repeatability-Refutation), we stand to progress much faster, further and higher in united mode. Dayalbagh, described as 'a colony of work-a-day mystics' and an 'Indian Utopia' by western authors almost a century back has always impressed visitors from all over the world. 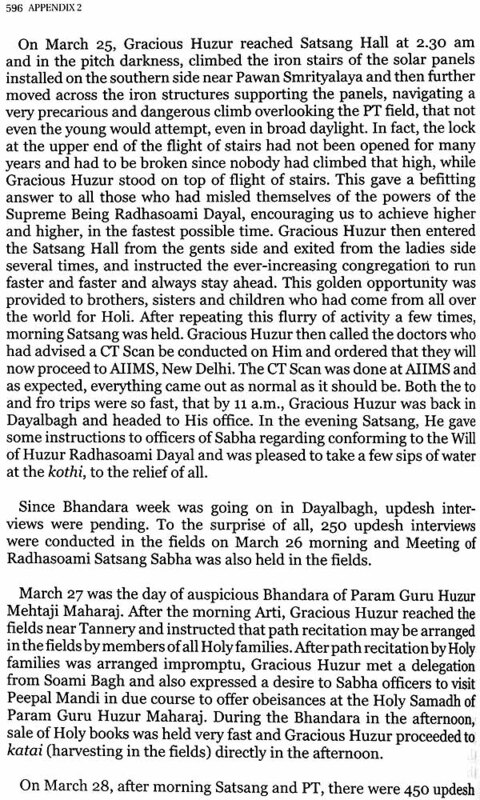 In his book, 'A Search in Secret India', Paul Brunton described Sir Sahabji Maharaj, the founder of Dayalbagh and fifth Revered Leader of Radhasoami Faith as "Master of over one hundred thousand people, who practise a mysterious form of yoga; prime organizer of the multifarious and materialistic activities which seethe around me in Dayalbagh; taken all in all, I write Him down as a brilliant and breath-taking man. Nowhere in India, nowhere in the entire world, may I expect to meet His like again." Similar views are echoed by hundreds of scientists from all corners of the world who have visited Dayalbagh in the last decade. They carry the lasting impression of Dayalbagh as an "environment where consciousness and spirituality are taken as primary and an example of how purity could spread beyond race, religion and become a global language of love." Several of them are contributing authors to this edited volume and describe Dayalbagh as "possessing hospitality and human touch in every little behaviour combined with professional excellence as a resounding expression of rooting in the Spirit. This is an example of the Divine Materialism which is not a mouthful word but a Reality for you all. Salute to this rare evolutionary leap from homo sapiens to homo spiritualist" You should go on moving forward with greater speed. People will be influenced by your ideals and way of life and proclaim in the same way by expressing freely that evolution of homo spiritualise is taking place. The purport of their saying homo spiritualis was the same as that of the "Superman" referred to by Sir Sahabji Maharaj. The stupendous integration in this edited volume brings together the leading lights of consciousness studies from the east and the west and is a milestone in our integration efforts. I close this Foreword with a personal sense of happiness and satisfaction in partnering the research endeavour of authors in this edited volume in offering a thematic introduction and extending graph- theoretic system modelling to modelling microtubules in the human brain and n-qudit (odd prime based higher order quantum states) contextualise based quantum teleportation and beyond. I wish the book the great success it deserves and wish you Godspeed in your exciting venture of Mission Consciousness. 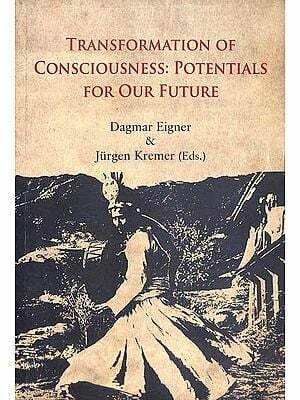 The book 'Consciousness : Integrating Eastern and Wester1 Perspectives' is the outcome of the successful organization of th. Twentieth Conference on 'Toward a Science of Consciousness' (TSC 2013) at Dayalbagh Educational Institute (DEI), Agra, India in Marcl 2013. Soon after the event, Prof. Stuart Hameroff, Director, Centre fo Consciousness Studies, The University of Arizona, Tucson, Arizona - the chief-architect of the TSC-series of events, spontaneously acknowledged as follows: "The conference (TSC-2013) was a great success ani accomplishment. Congratulations! The confluence of Eastern spiritual philosophy, and quantum cognition, biology, physics and cosmology is the best chance to understand the science of consciousness. You conference will be remembered as the time / place where it all starte to come together. 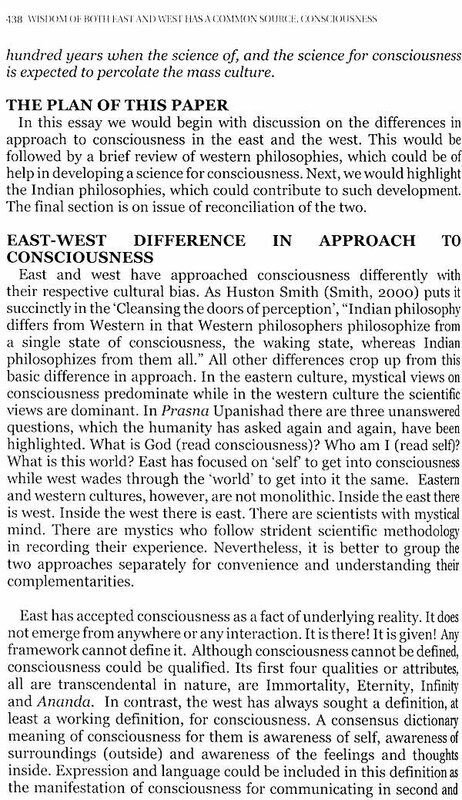 The spontaneous acknowledgements suggested that perhaps we were very well poised towards compiling a unique boo on Consciousness: Integrating Eastern and Western Perspectives. This unique volume brings together western and eastern perspectives on consciousness with essays from philosophers and scientis1 organized in four sections which emphasize different aspects of these perspectives. The overarching aim of this book is to provide direction toward integrating Eastern philosophical and religious practice wit philosophies and sciences of Western culture, an aim that could b pivotal in understanding consciousness and its place in nature. begins with a thematic introduction (Section I), followed by section on Western perspectives (Section II), Eastern perspectives (Section III), and their integration (Section IV). The aim of this book is both exciting and timely because its authors include Eastern and Western philosophers and scientists who have given considerable thought as to how an understanding of consciousness might take place. We are in the dawn of an age wherein new knowledge of physical, biological, an psychological aspects of nature is being brought to bear on the mystery philosophical traditions that have existed for centuries. Integration of these sources not only could lead to a much deeper understanding of consciousness, but also to a basis for improving the human condition. To set the background for describing this project, we begin with the general distinctions between the contributions of Eastern and Western philosophy and science. Eastern and Western viewpoints differ in the schools from which they were derived, their main principles, and the ways in which the truth is discovered. A unifying approach is adopted to the study of consciousness, integrating the wisdom of the sages of the east, and the scientists of the west. To our knowledge, there exists no prior effort at this scale, to bridge the gap between the East and the West. The book adopts the blue-ocean strategy in assigning uncontested space to all stake holders in Science and Spirituality making competition irrelevant and invoking cooperation thereby enabling us to venture into areas hitherto untouched by existing published works on consciousness. The title 'Consciousness: Integrating Eastern and Western Perspectives' was finalized on the basis of opinion poll conducted among editors of the proposed book. The book-project, representing a wide spectrum synthesis of the Eastern and Western approaches on consciousness, has attracted scientists and philosophers of tall standing at the global level. The book chapters, while bringing out the best of the authors in their own discipline, are unitary in the spirit of integrating eastern and western perspectives of consciousness. Eastern schools are mainly derived from the spiritual traditions of Buddhism, Confucianism, Hinduism, Yoga, Islam, Taoism, and Zen. Commonalities among these traditions include emphasis on the "inner" world, a sense of cosmological unity, and an aim of self-liberation. Liberation from a false sense of oneself is based on finding the true "I" within a higher state of consciousness and being. Western schools are derived from philosophies that support a scientific method that is based on logic, empirical strategies for obtaining knowledge, and rational discourse. Much of the emphasis of Western science is on an external viewpoint of phenomena, unlike the Eastern emphasis on an "inner" world. As an example, Western psychology of the twentieth century was dominated by behaviourism, a scientific doctrine in which only overt behaviors constituted both independent and dependent variables of studies; mental constructs that pertained to content of inner experience were mostly avoided. Eastern and Western philosophical principles also differ in their metaphysical emphasis. Eastern principles emphasize cosmological unity (e.g., the interconnectedness of all events), a higher reality that is beyond realities that immediately surround us, and in the case of Hinduism, a circular view of the universe based on the idea of eternal recurrence. In contrast, Western philosophical principles give greater emphasis to individuals, either as ends in themselves or as a part of a divine plan or greater good. Given these differences in principles, it is understandable that their methods of discovering the truth would differ. Thus, Eastern methods include searching inside oneself, through different forms of meditation and righteous living. Western methods also include observations, mainly from an external viewpoint, and they can occur with or without experimental control. 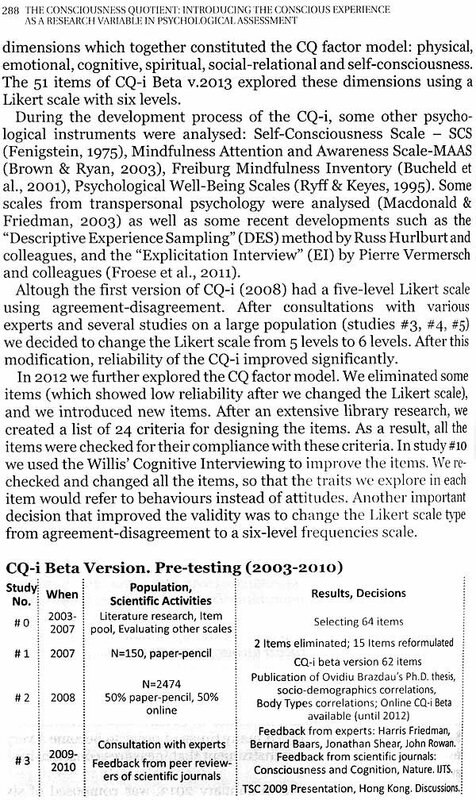 Observations can be subjected to hypothesis testing and inferential analyses to arrive at explanations and theories. At the vanguard of this integration effort are the Emeritus Editors from the East and the West. The Emeritus Editor from the East is Revered Prof. Prem Saran Satsangi, the Eighth Revered Leader of the Radhasoami Faith (or Eastern Religious Philosophy of Saints) - embodying the logic of a modern faith - who has studied and researched widely in the modern systems science of the West over a period spanning a little more than the last half a century. 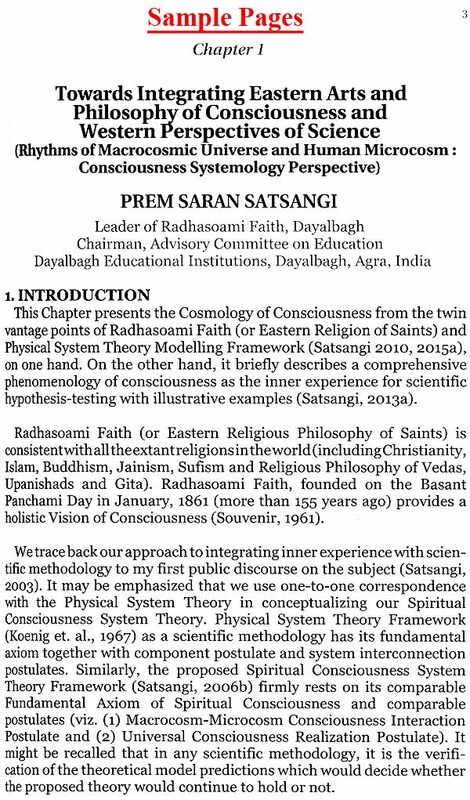 Accordingly, Revered Prof. Satsangi presents the cosmology of consciousness from the twin vantage points of Radhasoami Faith and Physical System Theory Modelling Framework. The unique underlying spiritual systems modelling framework inspires a natural flow of hypotheses for scientific testing right from early stages of research on consciousness integrating Eastern and Western perspectives. Radhasoami Faith is consistent with all the extant religions in the world (including Christianity, Islam, Buddhism, Jainism, Sufism and Religious Philosophy of Vedas, Upanishads and Gita). 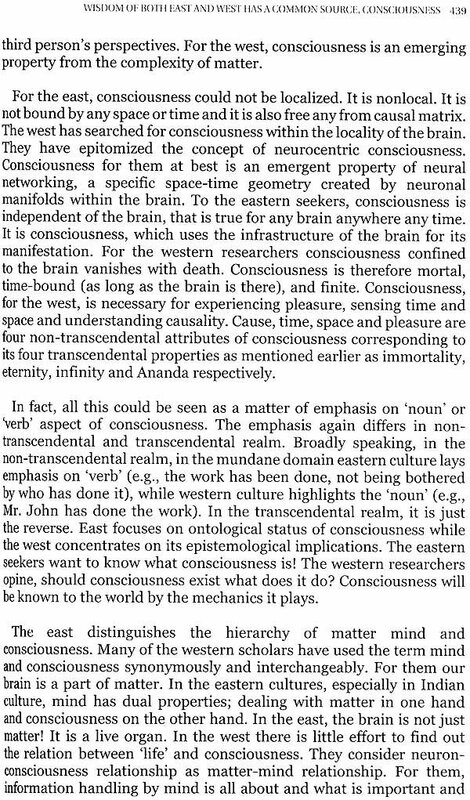 He also presents Cosmic Consciousness Hierarchization comprehensively, bridging eastern and western analytical, experimental and experiential approaches. It is supported by study of human consciousness as a surrogate of macrocosmic consciousness. 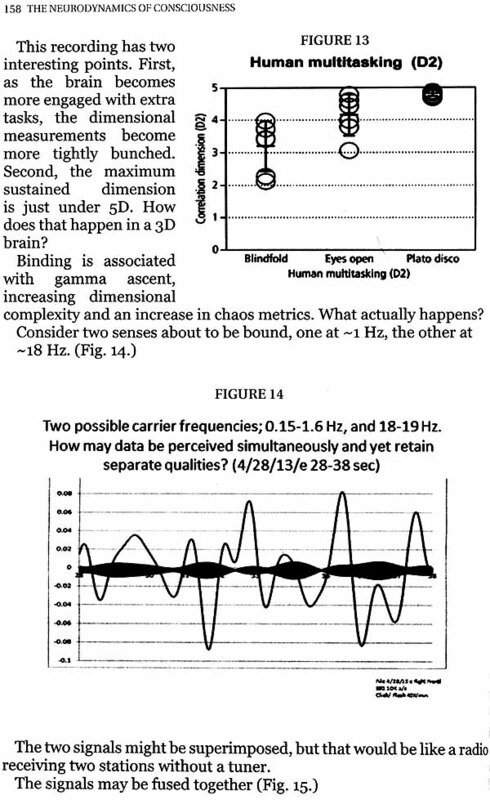 His research group has taken a step forward to generalize qudits (odd-prime based quantum states) to higher and higher dimensions which could almost tend to infinity, and thus bring us to the threshold of being face to face mathematically in abstract terms with the ultimate source of consciousness in abstraction. This opens up the immense possibility of going far beyond the presently obtained highest dimension 10 of strings of the M -theory group of models. The book will appeal to the rapidly growing mass of scientists and students in this upcoming field, both in the east and the west, as well as the general inquisitive reader. 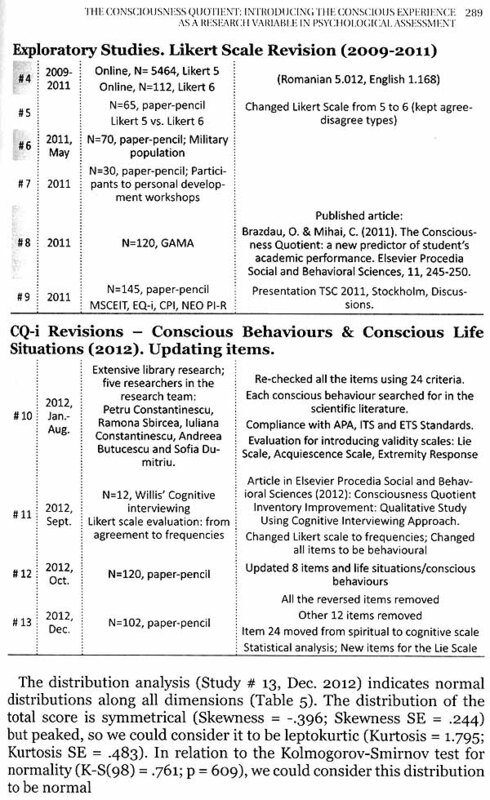 Courses in consciousness studies are being promoted in leading Universities all over the world. It will also interest the followers and adherents of Eastern Philosophy of Saints and Radhasoami Faith numbering in a few millions around the globe.